Reposting to include Skye’s new review. If you enjoy horror in all its many forms, or just plain Weird Stuff, odds are good that you’ve at least heard of (if not been sucked into the fandom vortex of) the highly-acclaimed podcast Welcome to Night Vale. Its creators, Joseph Fink and Jeffrey Cranor, have spent the last five years expanding upon a central premise — there’s a desert town in the southwestern region of the United States, where all manner of strange things happen and time doesn’t really exist — through twice-monthly podcast episodes. 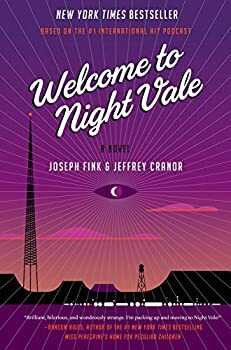 The success of the podcast has led to a number of other projects, including this novel, Welcome to Night Vale (2015), which is a perfect entry point for anyone wondering what all the fuss is about, as well as a rewarding read for established fans. The novel Welcome to Night Vale features characters which will be instantly familiar to anyone who’s listened to the podcasts, but again, won’t alienate newcomers. Diane Crayton and her adolescent son Josh are going through a bit of a rough patch: She’s having trouble at work, and Josh’s long-absentee father has suddenly showed back up in town, making Diane suspicious as to what his motives might be. Josh is having trouble establishing his identity and, never having met his father or even knowing the man’s name, is beginning to wonder if having this information would help him. Josh is also a shape-shifter, frequently sporting wings or stalked eyes or pincer-claws, in just one example of how Fink and Cranor take the metaphorical and turn it literal; Josh doesn’t know who he is or who he wants to be, and instead of trying out social-group identities like Goth Kid or Jock, he experiments with different physical features. Diane wants to protect Josh from the shock of meeting his father, but her efforts to intervene only cause more tension between them, and in turn, cause problems for an ever-enlarging number of people. One of those people is Jackie Fierro, pawnshop owner and perpetual nineteen-year-old. (As I’ve mentioned, time is wonky in Night Vale. And we all know at least one person who refuses to grow up, no matter how much we want them to.) A strange man wearing a tan jacket shows up in her shop and pawns a piece of paper bearing two words: KING CITY. Once the transaction is complete, he runs off into the desert, and Jackie discovers that she can neither destroy the piece of paper nor let go of it — no matter what she does, the paper returns to her hand. This proves to be too much even for a woman accustomed to Secret Police and constant surveillance from government agents, and when Jackie learns that other people have similar pieces of paper and yet are unable to remember the name or face of the man who gave it to them, her desperation to find this man and the mysterious town of King City lead to an unexpected connection with Diane and Josh. Balancing absurdism and realism within a linear narrative is difficult, but Fink and Cranor have had years of practice since Welcome to Night Vale began broadcasting in 2012, and their hard work and dedication pay off here. The residents of Night Vale are (mostly) recognizably human, with relatable goals and desires. And sure, there’s a faceless old woman living in Diane Crayton’s house, but she technically lives in everyone’s houses, and she generally seems benign. One of the waitresses at the Moonlight All-Nite diner has branches growing out of her body, but she’s really nice, and her name is Laura. Welcome to Night Vale is filled with characters and moments like these, with people who are just living their lives as best they can, though with perhaps just a little more honesty about their challenges and existential dread. There’s even a broadcast of Welcome to Night Vale folded into the narrative, providing a glimpse at what dulcet-toned Cecil Palmer is up to during all of these shenanigans and goings-on. There are plenty of horrifying elements to Welcome to Night Vale, alongside the greater mystery of the slips of paper and the smaller, more domestic mystery of Josh’s father. (Personally, I wouldn’t want to live in a town where the librarians try to kill you.) But there are also fun and thrilling moments, as well as heartwarming moments, mixed in with the banality of living in a small, isolated town. Any life can seem like a horror novel, depending on what lens you view it through. To the right reader, John Cheever’s short stories about suburban life read as nightmare fuel; to my mind, Welcome to Night Vale is wonderfully weird, creepy, and smart. 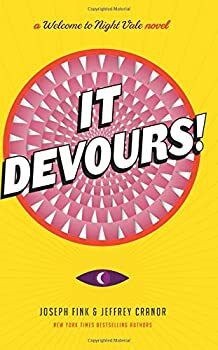 I’m very excited to read its first sequel, It Devours! “Weird”, one of the descriptors Jana uses in her review, is the right word for Welcome to Night Vale. 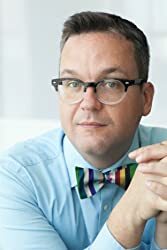 I’ve been a fan of the podcast for a few years now, and when they first announced there would be a book, I was interested, if a bit apprehensive. Could they pull off the magic that made the podcast so successful without the charisma of the narrator? Turns out they could. Welcome to Night Vale is everything that’s engaging about the podcast: relatable, surreal, and capital-S-Strange. I loved how deeply odd all the parts of the story were. From the shapes Josh chooses to The Man in the Tan Jacket — the story here is unbelievably odd while simultaneously maintaining relatability. I was particularly taken by Jackie Fierro. She’s been 19 for longer than she can reckon and has been running a pawn shop for most of that time (an aside — how the pawn shop works is one of my favourite bits of the book. The formula to pawning something, and the sometimes-intangible things their worth, make for one of the most fascinating parts for me.). Jackie’s life loses some of its monotony in Welcome to Night Vale, and I found her quest — to put down a piece of paper — compelling. If you’re looking for something that looks at reality sidelong through a kaleidoscope, give Welcome to Night Vale a try. Published in 2015. From the creators of the #1 international hit podcast Welcome to Night Vale comes an imaginative mystery of appearances and disappearances that is also a poignant look at the ways in which we all struggle to find ourselves . . . no matter where we live. Welcome to Night Vale . . . a friendly desert community somewhere in the American Southwest. In this ordinary little town where ghosts, angels, aliens, and government conspiracies are commonplace parts of everyday life, the lives of two women, with two mysteries, are about to converge. Pawnshop proprietor Jackie Fierro abides by routine. But a crack appears in the standard order of her perpetually nineteen-year-old life when a mysterious man in a tan jacket gives her a slip of paper marked by two pencil-smudged words: KING CITY. Everything about the man unsettles her, especially the paper that she cannot remove from her hand. Yet when Jackie puts her life on hold to search for the man, no one who meets him can seem to remember anything about him. 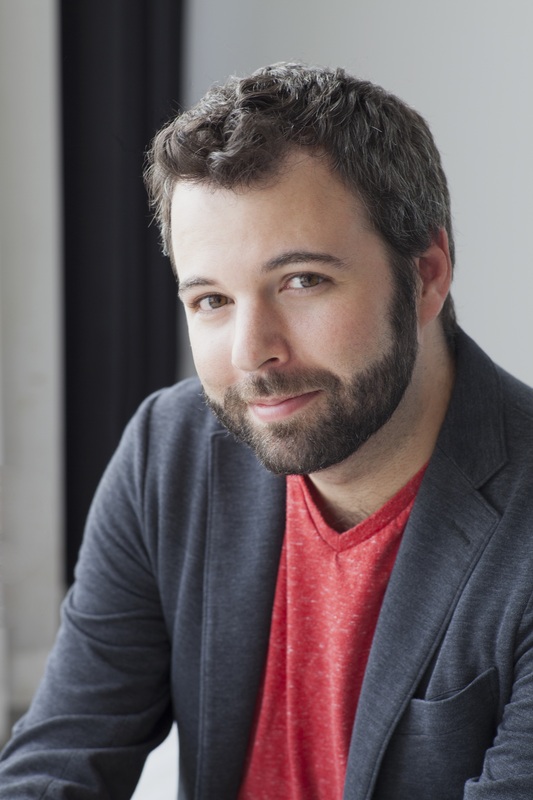 Diane Crayton’s fifteen-year-old son, Josh, is moody and a shape-shifter. Lately, Diane has started to see the boy’s father everywhere she goes, looking the same as he did the day he left when they were teenagers. Josh is growing ever more curious about his estranged father—leading to a disaster Diane can see coming but is helpless to prevent. Diane’s search to reconnect with her son and Jackie’s search to reclaim her routine life draw them increasingly closer to each other, and to this place that may hold the key to their mysteries and their futures . . . if they can ever find it.